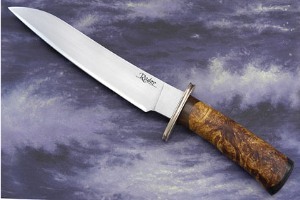 We are excited to announce that Michael was honored as a Mastersmith by the American Bladesmith Society on June 4th, 2010. 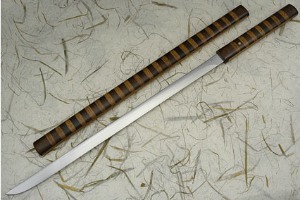 A very small number of masters are honored each year and it shows a tremendous accomplishment and many years of work! Each year, the B.R. 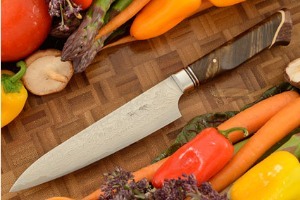 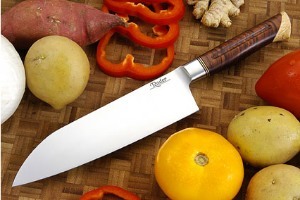 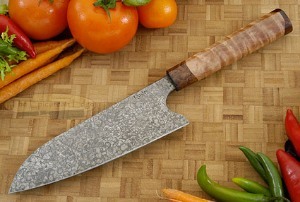 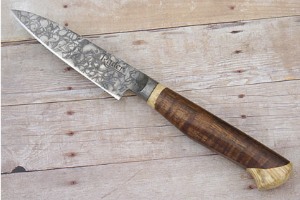 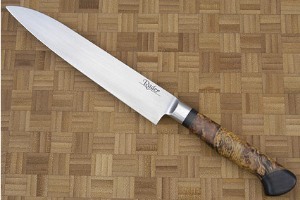 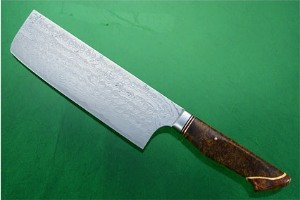 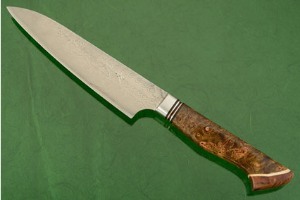 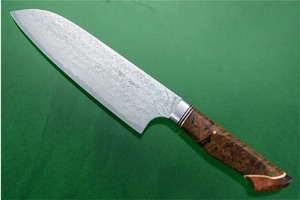 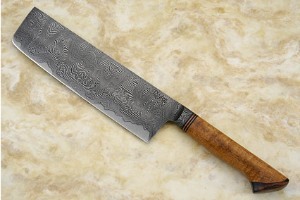 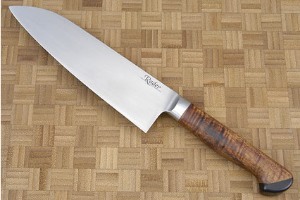 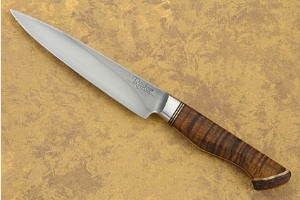 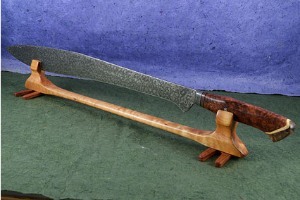 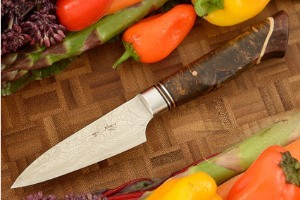 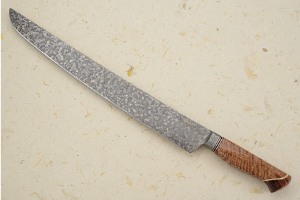 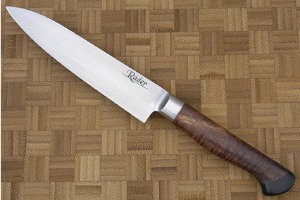 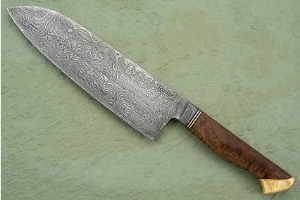 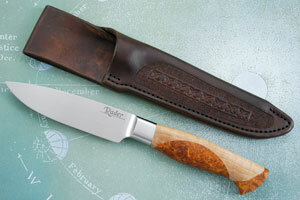 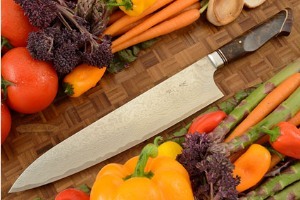 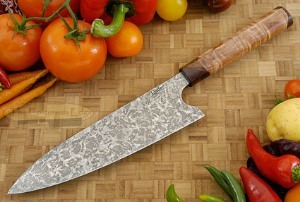 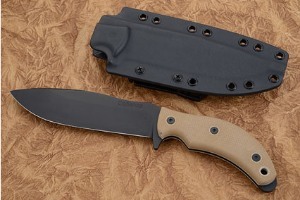 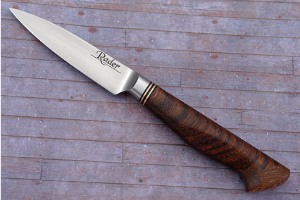 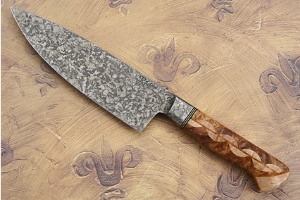 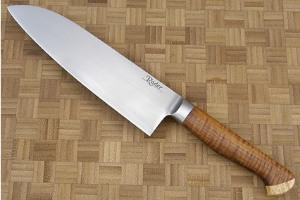 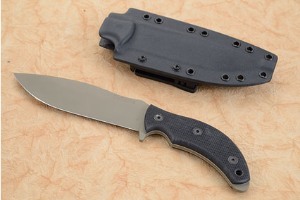 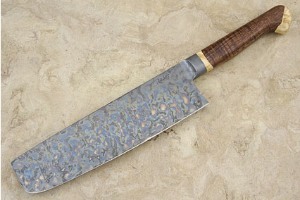 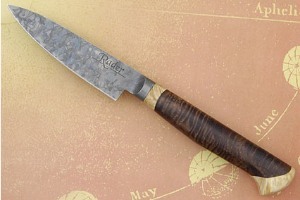 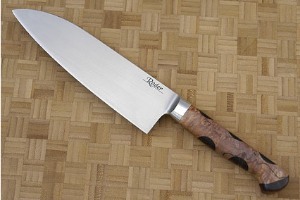 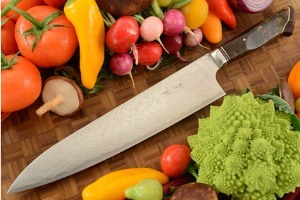 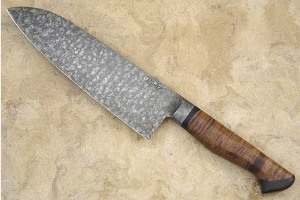 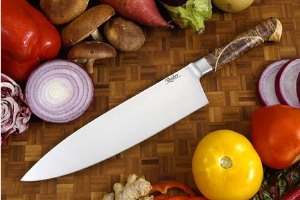 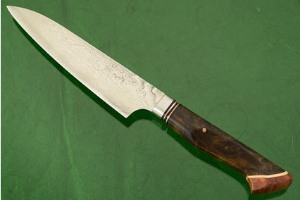 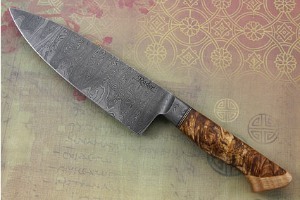 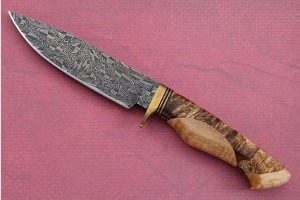 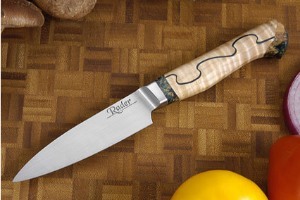 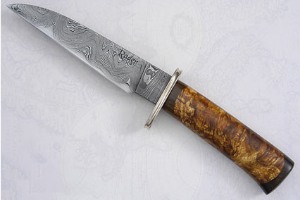 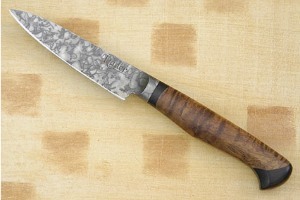 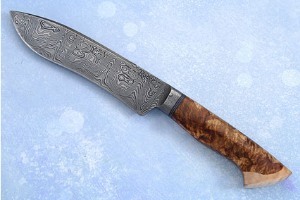 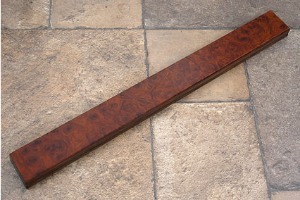 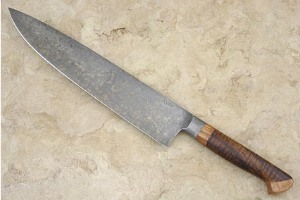 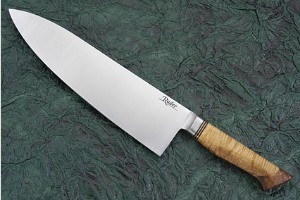 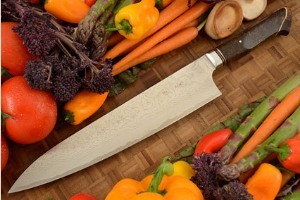 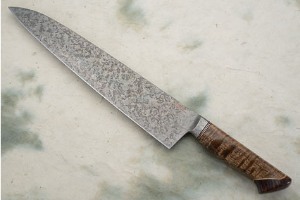 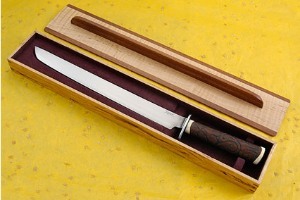 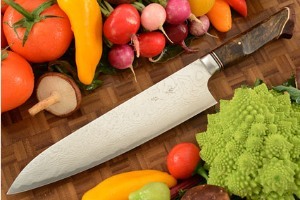 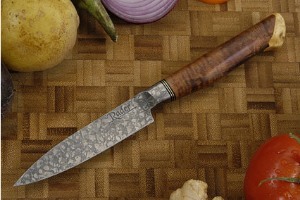 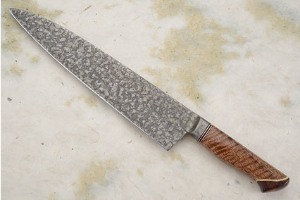 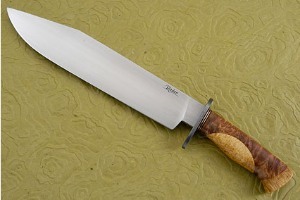 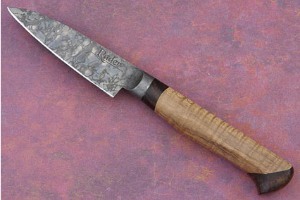 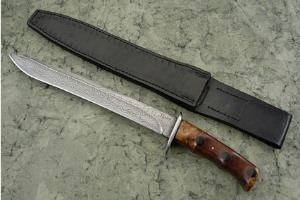 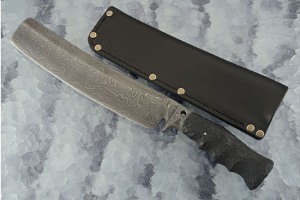 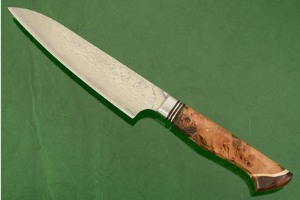 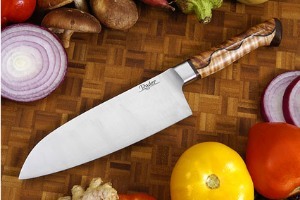 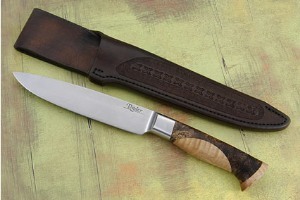 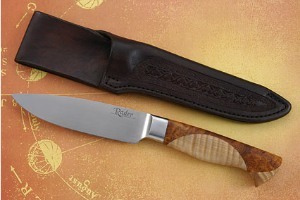 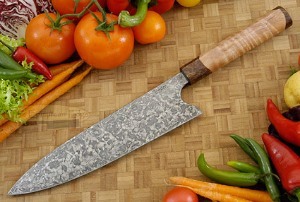 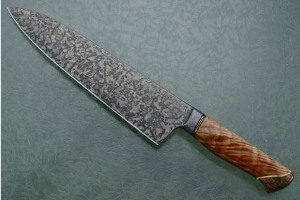 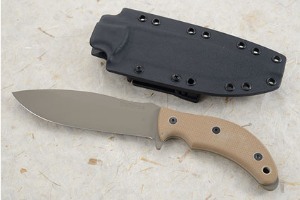 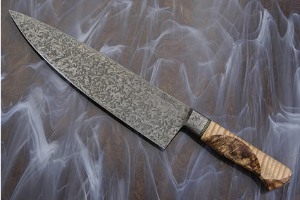 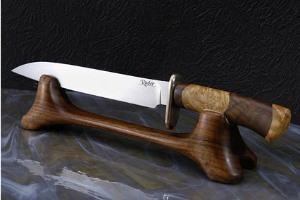 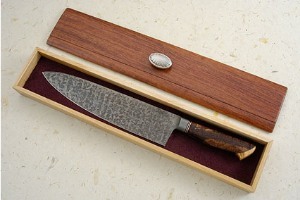 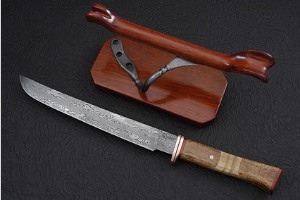 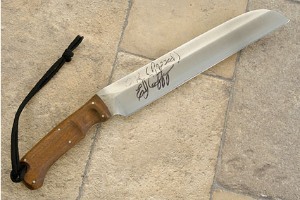 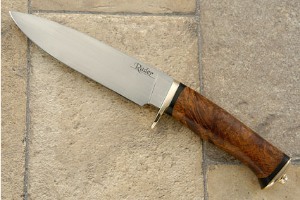 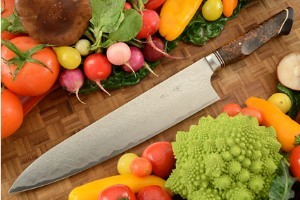 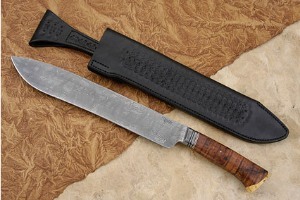 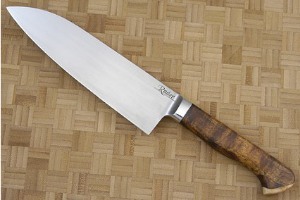 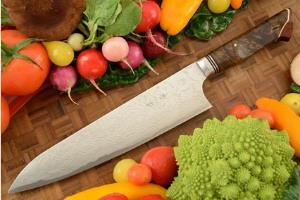 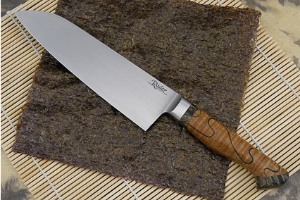 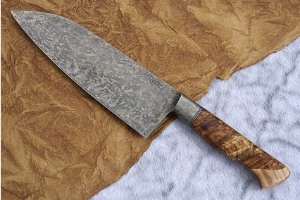 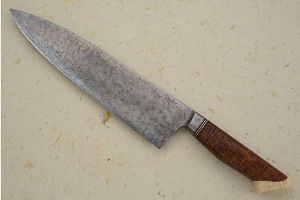 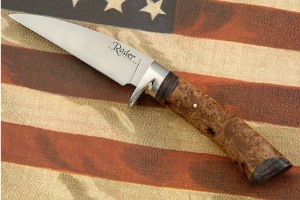 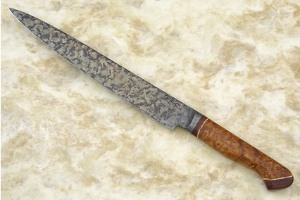 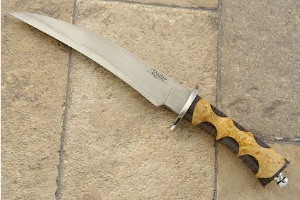 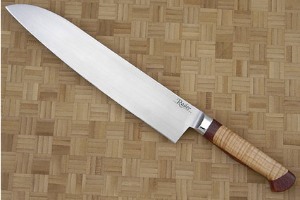 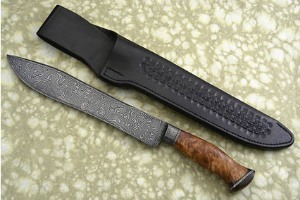 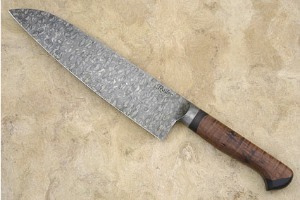 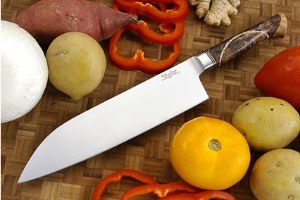 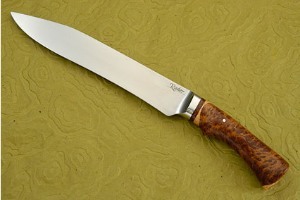 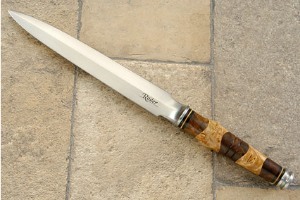 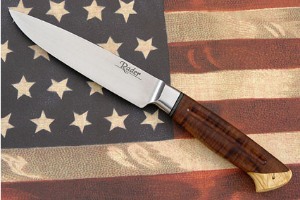 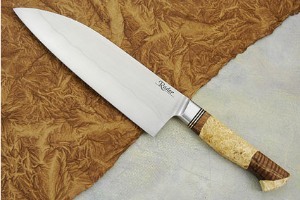 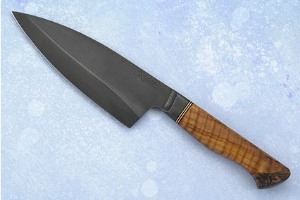 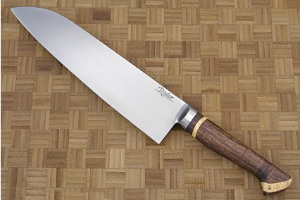 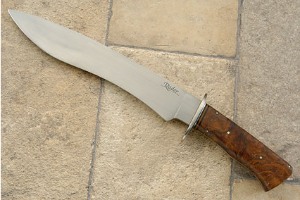 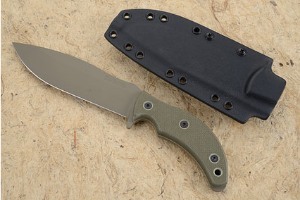 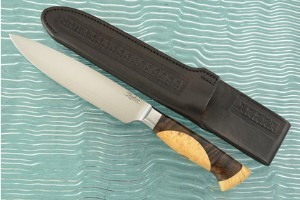 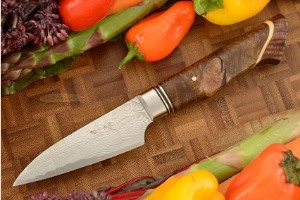 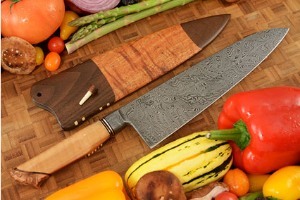 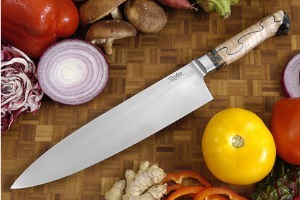 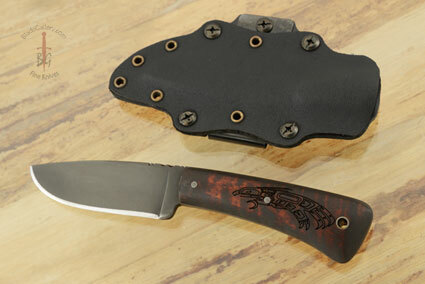 Hughes Award is presented in recognition of the knife judged to be the best submitted for review by a new mastersmith. 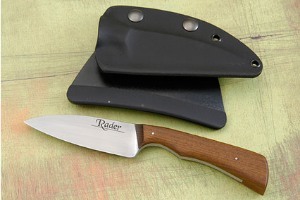 Michael Rader won the B.R. 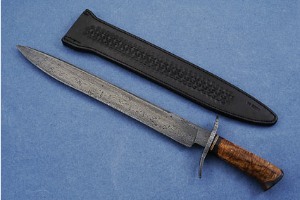 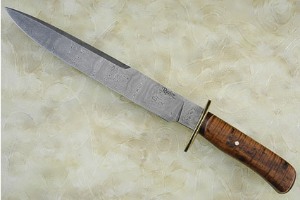 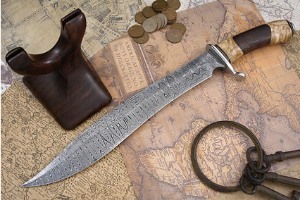 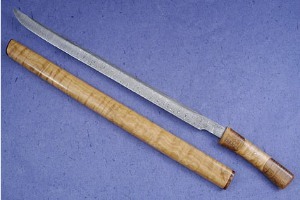 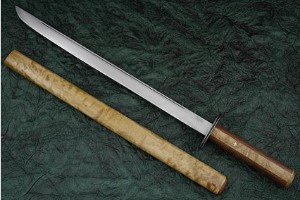 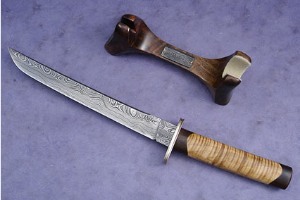 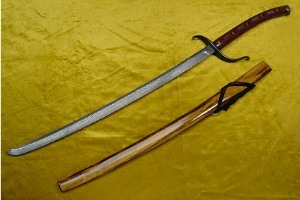 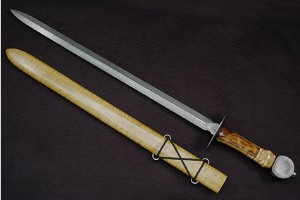 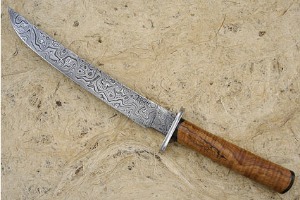 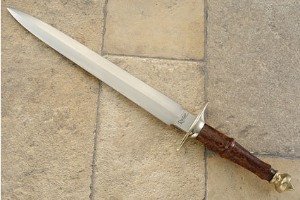 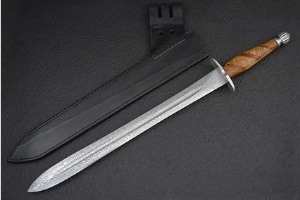 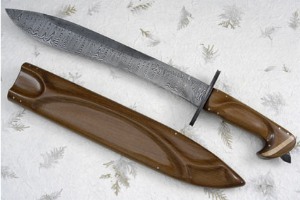 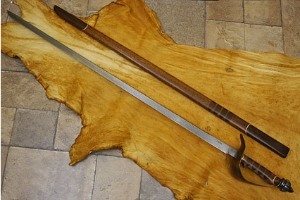 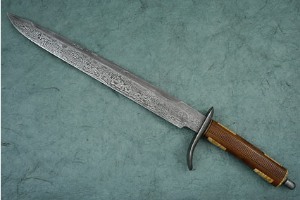 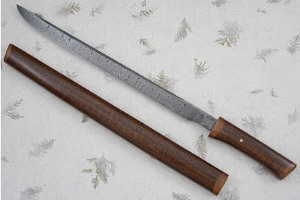 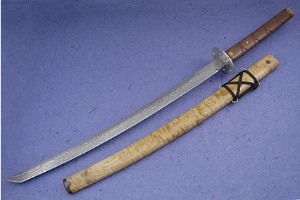 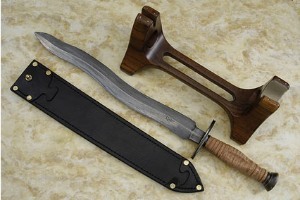 Hughes Award for his mastersmith presentation dagger. 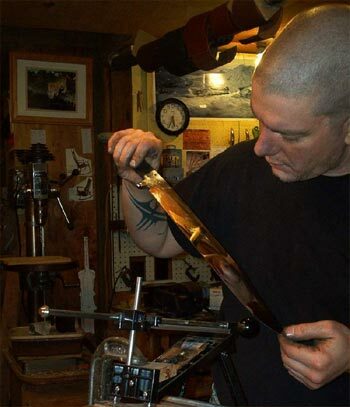 Michael was honored as a Journeyman Smith in June of 2006. 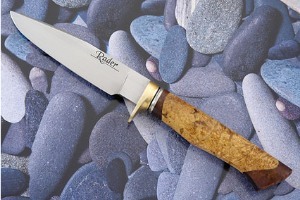 Michael Rader lives and works out of a small shop in the Washington State Cascade Foothills and has been a full time maker since 2002. 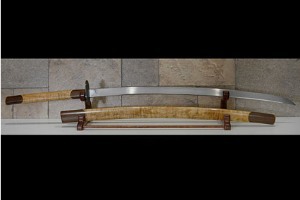 He trained in eight different martial arts styles throughout his life and continues to practice Tai Chi and Pentjak Silat daily. 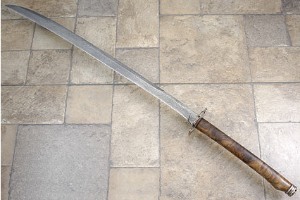 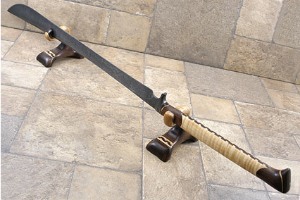 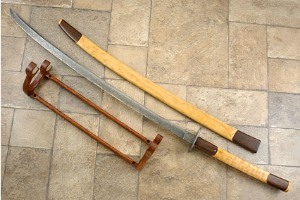 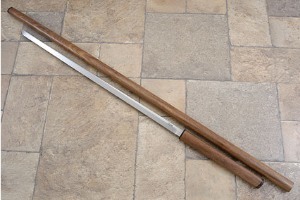 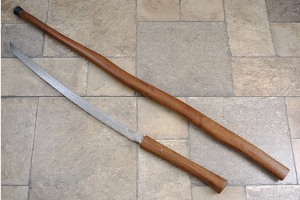 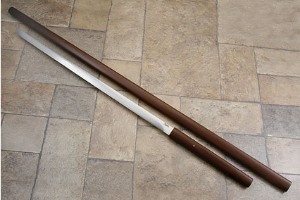 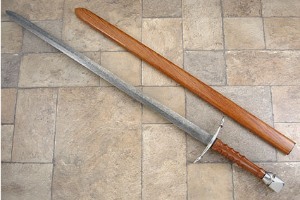 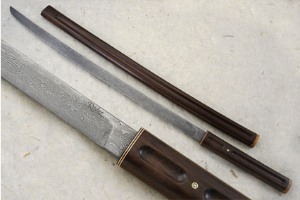 His blades are hand forged to shape using a 42 inch long barrel forge. 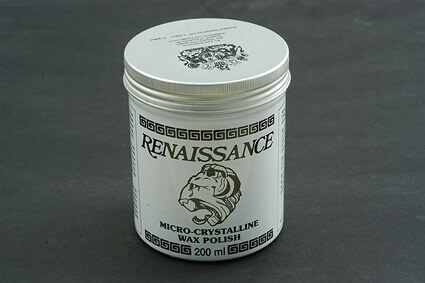 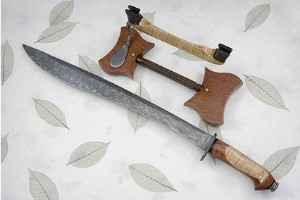 The handles, scabbards, and display stands are hand sanded and oil finished in a process that takes nearly two weeks and provides a custom gunstock-quality finish. Michael is a maker that is constantly experimenting. 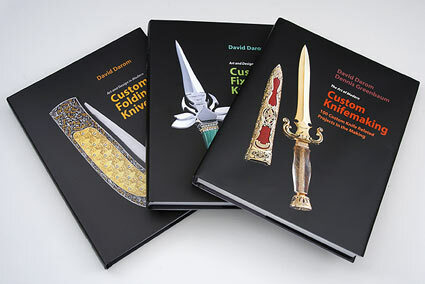 He continuously evaluates his knives for cutting dynamics and edge geometry -- evolving his designs and developing new techniques. 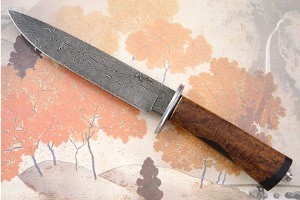 His work incorporates influences from many styles, cultures, and histories, though he does not follow any traditional or historical styling. 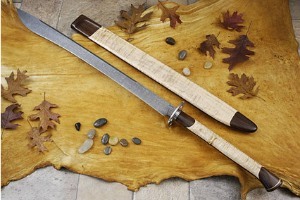 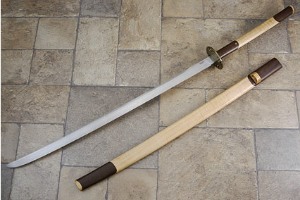 His sole interest is in making an original modern knife or sword and not a replica-of-a-copy-of-an-original. 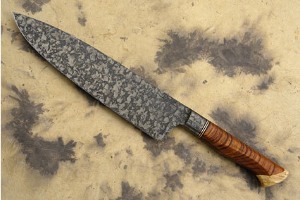 Michael has spent years experimenting with heat treatment -- one of the secrets to any high performance knife. 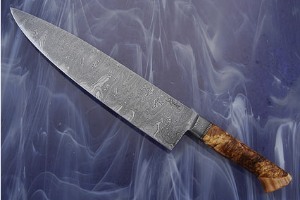 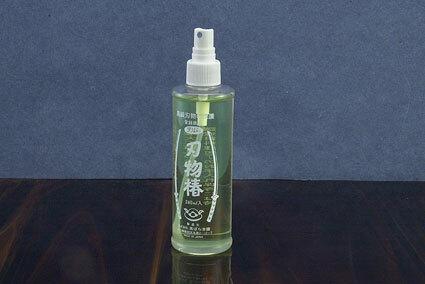 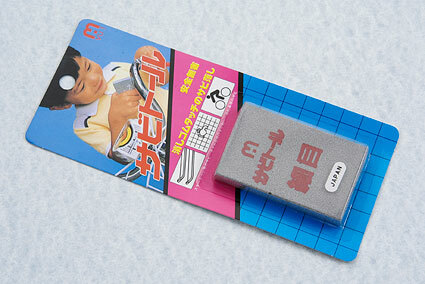 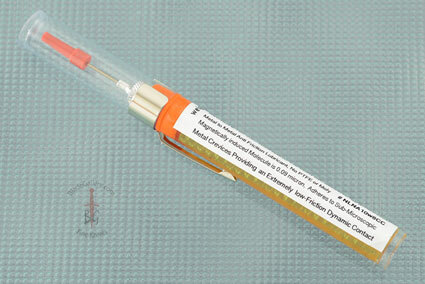 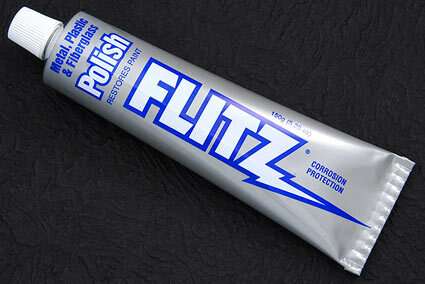 He continuously improves his heat treatment and regularly tests his blades, taking them to the limit. 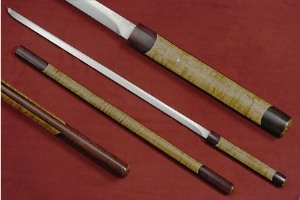 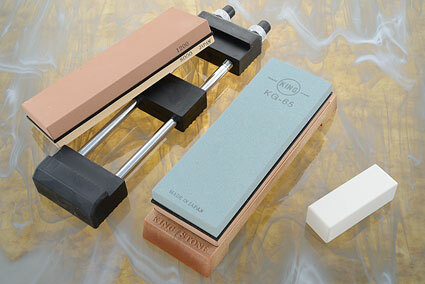 Each blade is tested to make sure that it will bend 45 degrees and return true. 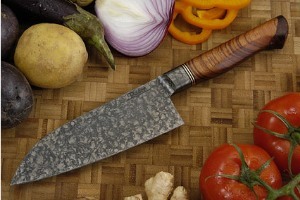 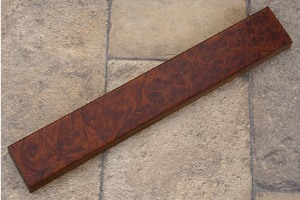 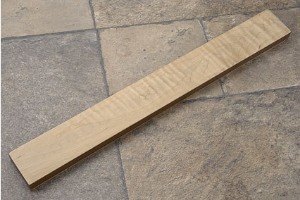 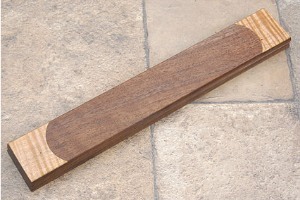 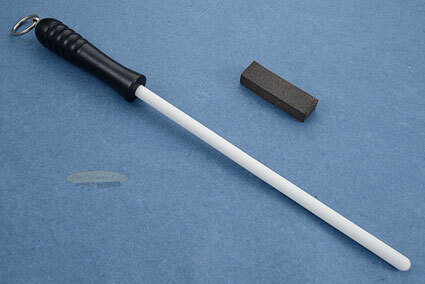 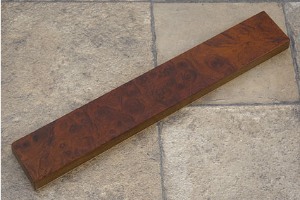 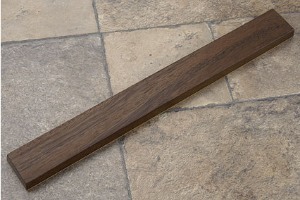 The edge is tempered so that it is hard enough to stay sharp but won't chip and can be easily sharpened. 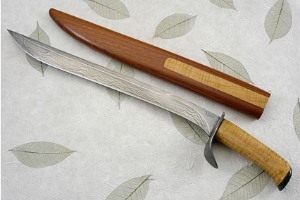 Intuitive, organic design has its place throught Michael's planning, but in the later phases of construction, he makes every attempt to create an intelligent sword or knife. 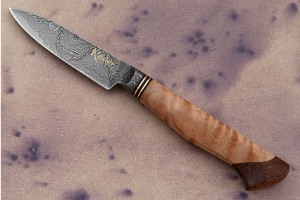 He is a firm believer in the old adage, "Form follows function" and tries to adhere to that as much as possible even in his art knives. 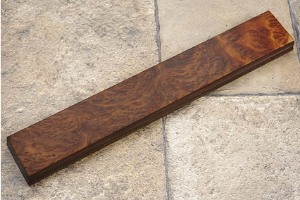 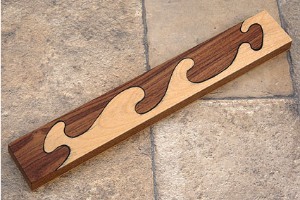 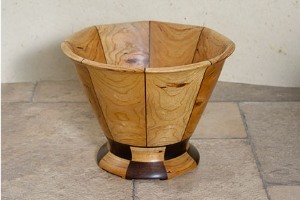 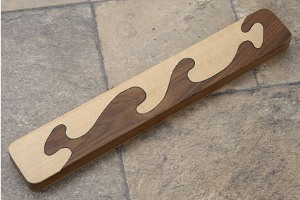 Michael's woodworking skills are exceptional and a hallmark of his style. 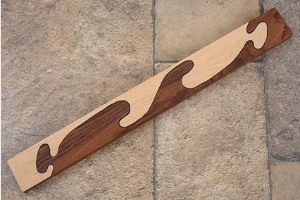 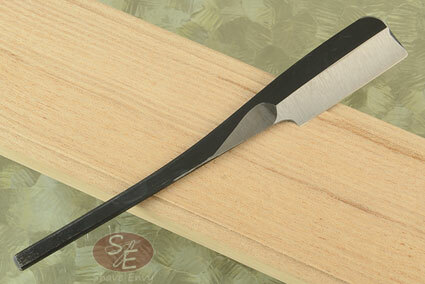 Swooping archs are perfectly combines into elegant and dramatic handles and sheath. 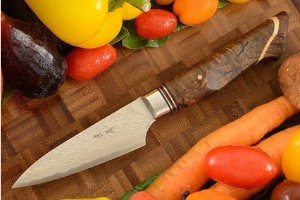 Though many collectors first mention Michael's wood inlay designs when talking about his knives, Michael intends the sculpting and carving to be ergonomic first and beautiful second. 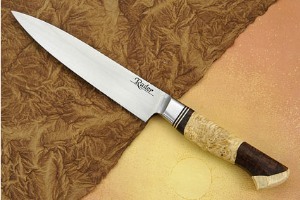 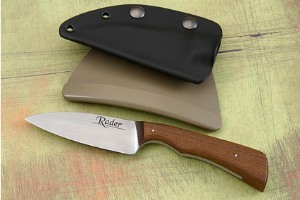 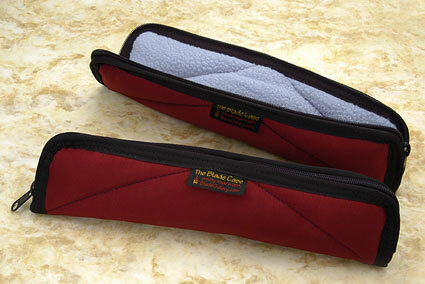 The result is both a captivating knife and one that is so comfortable that you won't want to put it down.